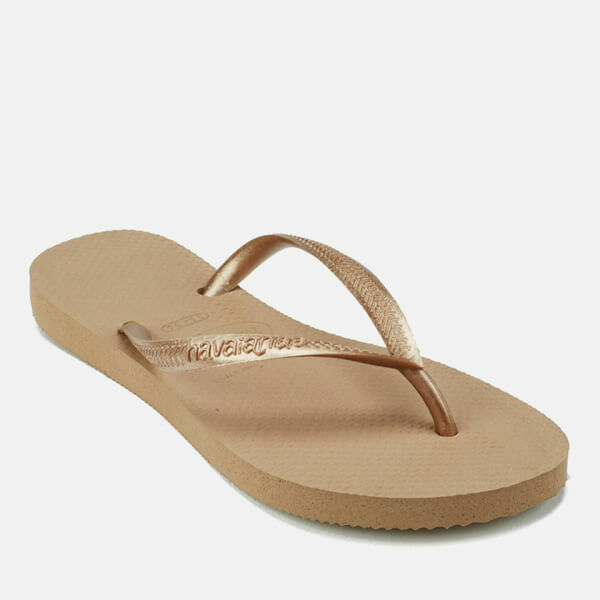 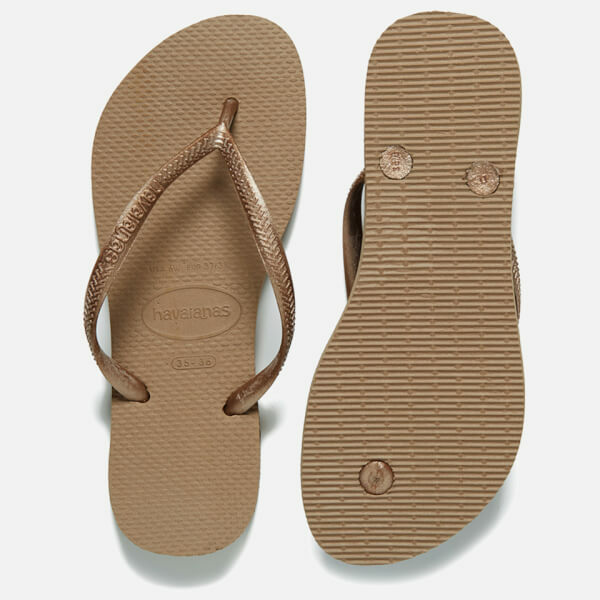 Women’s rose-gold flip flops from Brazilian label Havaianas. 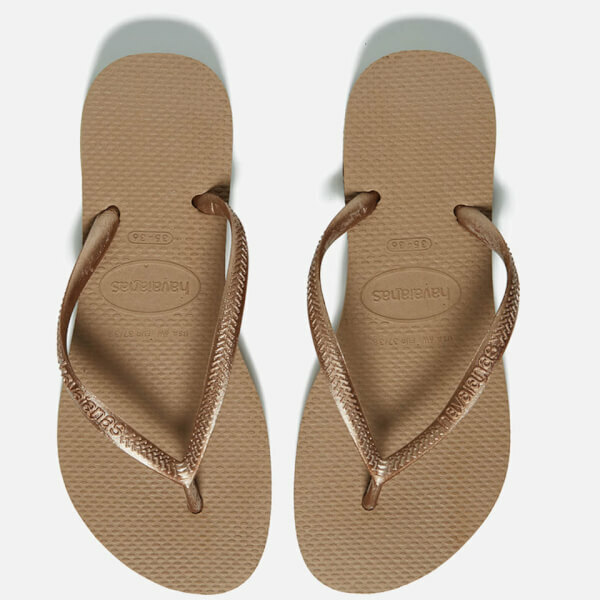 Crafted from heat-resistant, non-slip and water-resistant rubber, the sandals feature a classic toe thong with a Greek key pattern and tonal Havaianas branding to the straps. 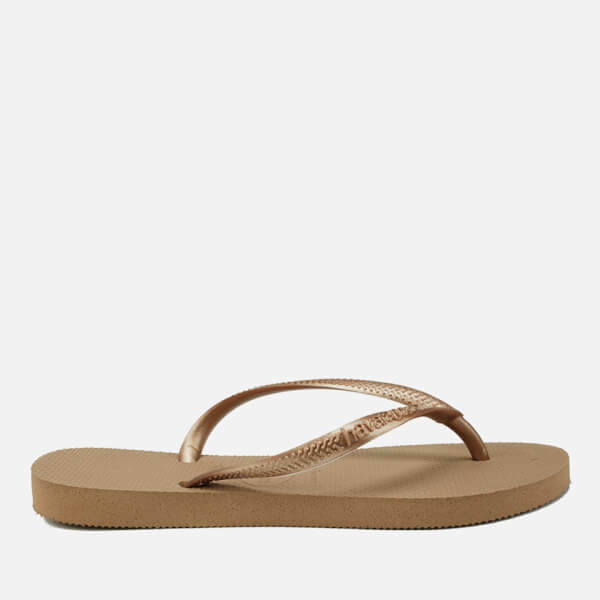 A rice grain pattern on the cushioned footbed gives superior grip, and the flip flops are complete with signature Havaianas branding embossed to the footbed.